Ms. Slavnic hopped around in her pink suit Wednesday. 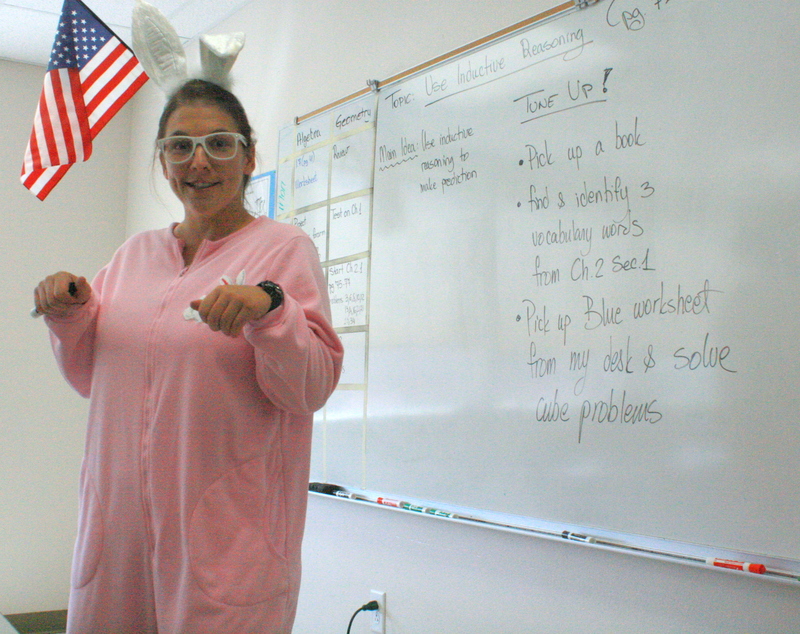 Project Manager Emina Slavnic made a promise with scholars in her math class — if everyone passed the test, she would teach in a bunny costume for the entire period. Two classes were lucky enough to witness this. this was funny i hope we can have this my class!!! !